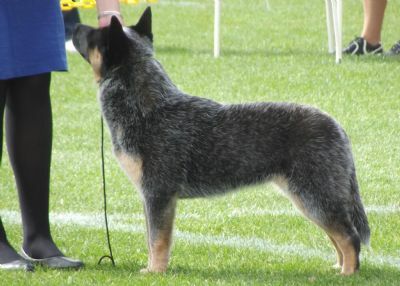 "NZ.CH.Claudale Blue Bijou. 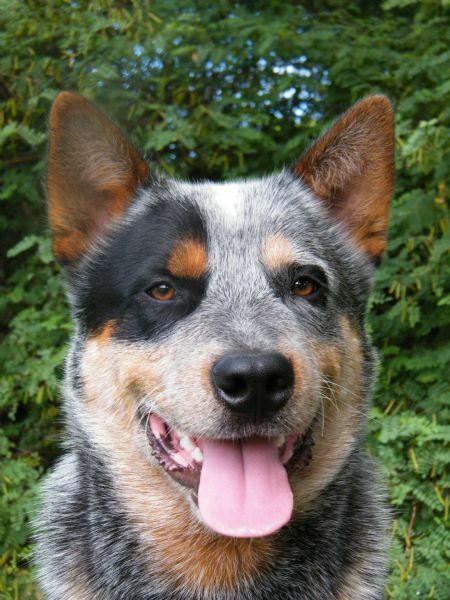 C.D.X." 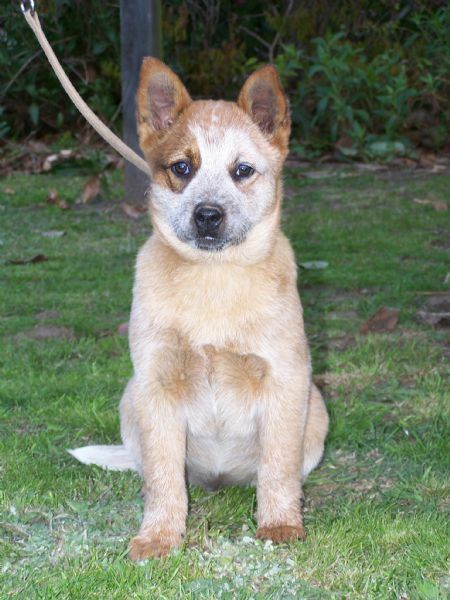 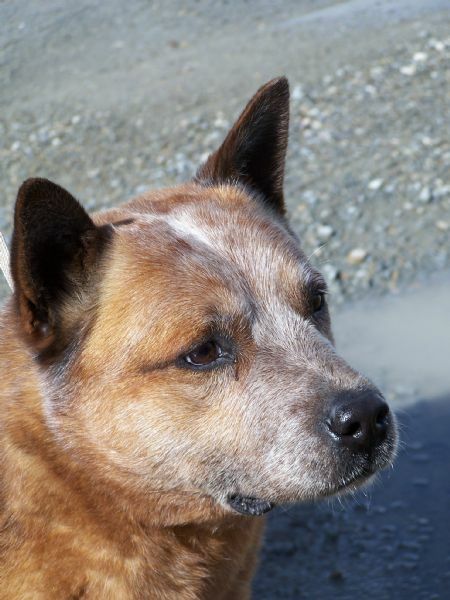 a natural heeler with the most fantastic temperament. 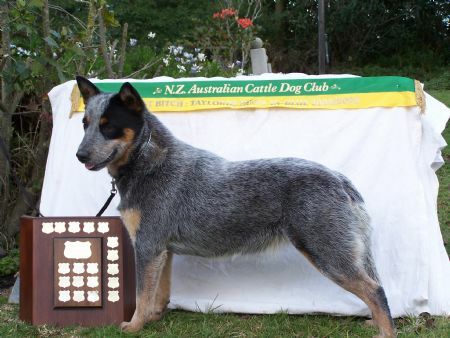 Over the years I have imported bloodlines to improve the breed in NZ, and have done testing on their offspring, with good and some times bad results. 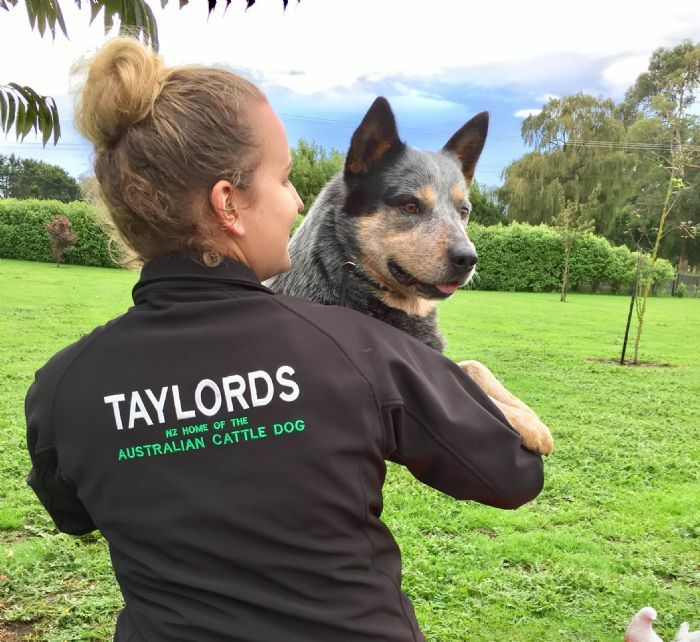 It is with the help of the following kennels, that we have some lovely dogs now in NZ, these being, Tallawong, Doolagarl, Kombinalong, Baiamul, and very special thanks to Robyn Spargo of Pureheel Kennels, for entrusting me with some of her lovely dogs over the years. 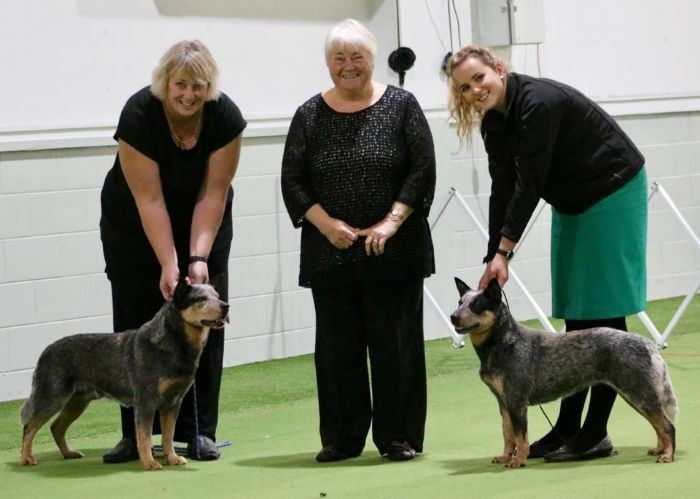 These kennels, as well as a few other Australian lines, have been the making of the breed in NZ..
With my daughter Jane, and also the help from Janes daughter, Bayley, who also has a great love of the breed, we hope to be able to promote and show the Australian Cattle Dog for many years to come, with the lovely imports coming into NZ over the years, the breed can only get better and better.